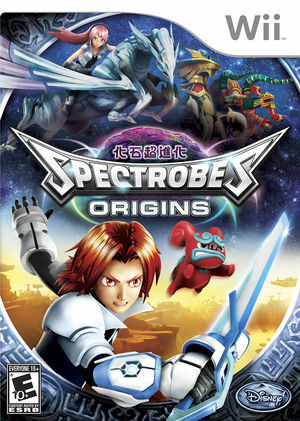 Spectrobes: Origins brings the successful series to Wii with a new story that reveals secrets from the past through flashbacks of significant events. Spectrobes: Origins has detailed three-dimensional graphics on the television and all new gameplay features. Players will use the unique Wii controls to explore vast worlds, excavate three-dimensional fossils, battle in real time and unravel an engaging story while discovering the key to preventing a galactic threat. Either a bug with Dolphin's emulated Wii Remote functionality or Emulation of the game itself, Emulated Swing bindings will not function properly in game. Because you need to use these motions to command Spectrobes, and thus beat the tutorial, the game is currently unplayable without a real Wii Remote. The graph below charts the compatibility with Spectrobes: Origins since Dolphin's 2.0 release, listing revisions only where a compatibility change occurred. This page was last edited on 29 July 2018, at 01:16.